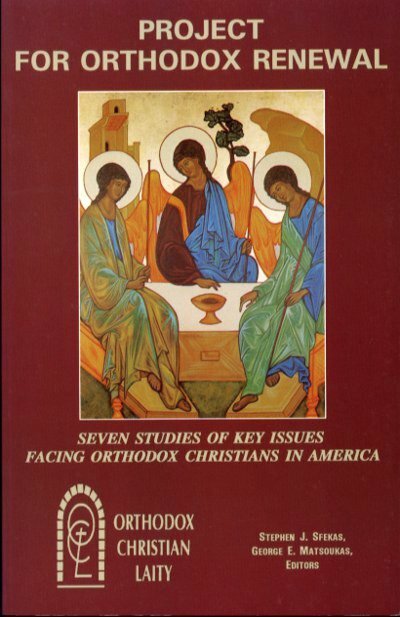 You are at:Home»Orthodox Christian Laity»Focused Study and Research Topics»How will we move forward to renew the Orthodox Church in the USA? Now that the hierarchy has demonstrated that it cannot move ahead in consensus, it is time for the spiritually mature laity and clergy to cooperate together and see how we can be a critical mass to move ahead as the Apostolic missionary church that is the Orthodox way. Where do we begin to make our Church in the USA canonical? 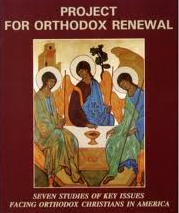 A good place to start is to reread or read for the first time the Project for Orthodox Renewal. You can read the chapters online if you wish: CLICK HERE. The ABSOLUTE key to Orthodox Spiritual Renewal is personal conversion to Jesus Christ, one person at a time, one parish at a time, for both clergy and laity! Unfortunately there are many in the Orthodox Church who have been sacramentalized (baptized, chrismated, communed) but many fewer have been evangelized, i.e. heard a clear proclamation of the Gospel of Jesus Christ and embraced Him personally in their hearts and lives. They attend church, they sit on committees, they give financially but there is a disconnect between the Gospel and their daily lives. The pastors of our communities MUST invite all the baptized to make an adult, personal commitment to Jesus Christ. To invite Him to be their Lord, to do and commit NOW what was done at their baptism as children: To RENOUNCE Satan, his pomp, his works, worship & pride; to UNITE themselves to Christ and to BOW DOWN before His as Lord and God! And then to Disciple them to follow Him in every aspect of their life. This the difference between us and the Evangelicals (and I’m talking about the mainstream, spiritually serious Evangelicals), which continue to grow while we shrink. They invite people to make personal commitments to Jesus Christ and then follow up with Bible study and personal discipleship. This is the ONLY way that the Orthodox Church will be renewed. You might enjoy looking at Becoming Truly Human http://www.becomingtrulyhuman.com –60 churches are running the program this year internally and externally and it appears that God is blessing it) and http://www.faithtree.com (orders for its first video series on how to be a husband, a father, a man, coming next month). 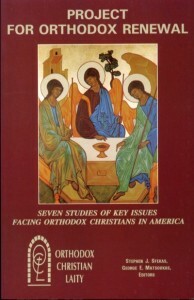 The first program addresses your first issue (“really” believing Jesus Christ is God through a clear but simple presentation of the Gospel) on a parish level with a one-on-one mentorship of a friend; and the second addresses what I believe is a key part of your second issue (living faith in Christ in our lives, including, for example, participating in Orthodox social action programs (such as FOCUS North America & IOCC) and Orthodox evangelism (such as Becoming Truly Human). Fr. Timothy sounds a lot like an evangelical fundamentalist from Colorado Springs, CO. As an Orthodox Christian I make my commitment to Christ whenever I approach the Chalice. Moreover, that commitment was also made for me at my baptism. I am saved as a member of the Ekklesia, the community of saints, and not as one who has responded to an altar call at a specific date, time and place. As a cradle-born Orthodox Christian and parish priest for 30+ years Fr. Timothy is exactly right….this is what is most needed in our parishes: personal conversion to Jesus Christ. Being baptized, receiving Communion, belonging to the Ekklesia are meaningless unless there is a personal faith commitment. This is not some Protestant “altar call”, it is the basics of our faith. I respectfully disagree with Fr. Pehanich. I do understand that as a priest you have to support your brother priest. And, there is nothing wrong with that. When I attend and participate in the liturgy and approach the chalice I do it “with the fear of God, in faith and in love” and as a committed Orthodox Christian baptized and confirmed in the faith. Having to re-commit myself is an insult to my parents and godparents who made the effort to see that I was baptized, confirmed and nurtured in the church. If you wish to call it “an altar call” so be it. But the notion that I have to publicly proclaim Jesus as my “personal savior” is definitely foreign to me as a cradle Greek Orthodox Christian. If wanted that, I would join the local Evangelical Free Church. Yes, Peter, I agree with you! As an Orthodox Christian convert, I am very put-off by the concept of an “Altar Call.” BTDT and I don’t want to go back. 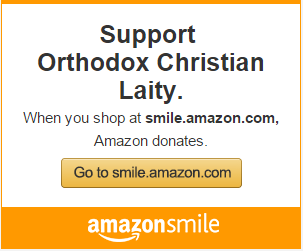 I want to go forward with my spiritual growth in Orthodoxy. I think you are missing the point. It is not enough, the good priests are saying, to be a Sunday Christian. We must make a conscious effort to be aware of God in our lives every day and act accordingly. Nobody is saying we have to “publicly proclaim Jesus” on a street corner or door-to-door, but our lives should proclaim Christ by our actions and our commitment.